Rachel Dolezal, the embattled former NAACP leader whose white parents say she misrepresented her identity by masquerading as a black woman for years, told the “Today” show on Tuesday that, despite the criticisms, she identifies as black. In a brief but highly anticipated live TV interview, Dolezal, who resigned from her position as the president of the NAACP chapter in Spokane, Washington, on Monday, told host Matt Lauer her self-identification with the black experience began as young as when she was 5 years old. “I identify as black. ... I was drawing self-portraits with the brown crayon instead of the peach crayon, and black curly hair,” she said. However, when Lauer showed a photo of 16-year-old Dolezal with blonde straight hair and blue eyes, Dolezal said the woman in the image would “be identified as white by people who see her.” But in that picture, during that time, Dolezal said she did not identify as African American. Over the years, Dolezal said she was first identified in news reports as transracial. She said subsequent stories then began to describe her as biracial and ultimately, “the next article” identified her as a black woman. “I never corrected that,” Dolezal said. 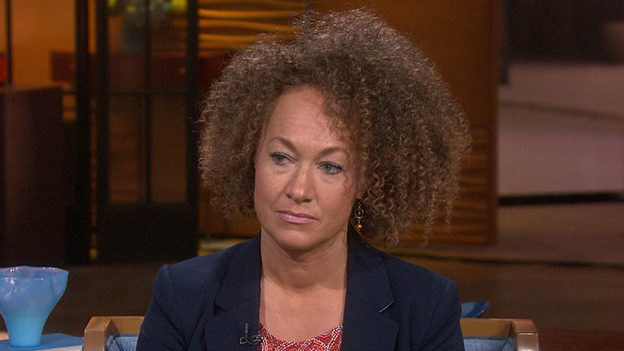 Dolezal said she didn’t believe she was being deceptive. And yet, over the years, her complexion darkened, her hairstyles changes to reflect those commonly worn by black women and her appearance, overall, masked any traces of being white. Among the more pressing and frequently heard concerns around why Dolezal disguised her ethnicity is that she decided to “pass” as black to fulfill her own agenda and enhance her resume among the black community. When asked if she could have achieved the same success in advocating for racial equality as a white woman, Dolezal said she doesn’t know. “Wouldn’t you want to correct things?” Lauer asked. Dolezal has dominated the news cycle in recent days as hoards of people -- both online and off -- have criticized her actions. Dolezal’s deception has caused massive uproar and prompted several reactions examining her decisions and why she made them. In a previous interview, Dolezal even identified a black man named Alfred Wilkinson as her dad. Dolezal’s birth father, Larry Dolezal, appeared on MSNBC on Tuesday and said it pains him to see his daughter claim another man as her dad. “It hurts deeply because she used to call me ‘Papa,’” he said. While her birth parents and some of her adopted siblings have publicly expressed their disappointment in Dolezal’s disguise as a black woman, she said her two adopted sons have showered her with support. Both of her sons are black, and one is her adopted brother, who she is now the guardian of. They were also in the studio with her to watch the interview. “One of my sons said, ‘Mom, racially you’re human and culturally you’re black,’” she said.